A friend in his 75 3.0 12V track car needs a new crankshaft. Since our shaft cannot be grinded, and availability of nos shafts is null, question is will 24v crankshaft fit in 12V? I know there are some dimensional differences around flywhell flange area what about the rest? 164 style 24v crank will work. Later style is different due to oil pump drive. 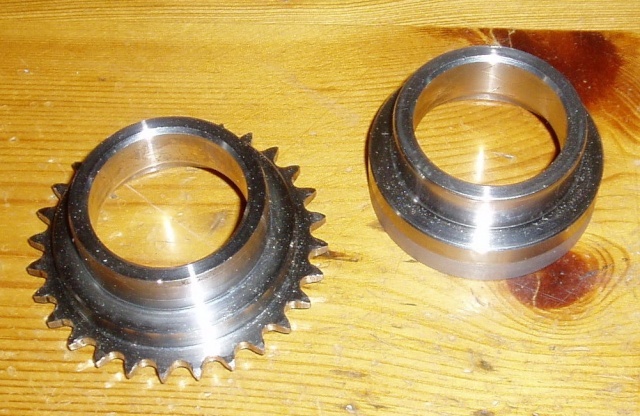 You can also use a later crank like the 3.2 if you machine off the teeth for the oil pump drive. The rear flange where the flywheel fits is as the 3liter.